This interesting clinical case submitted to JMS by one of our students Laura (Bennetti) Righter, CMMP, LMT, who recently graduated SOMI’s Medical Massage Certification program. At the very beginning of training we warn our students that they should be ready to face more and more complex cases as soon as they start to deliver stable clinical results. This case is great illustration of that. However, there is another very important aspect of this case. We also insist that therapists should never blindly follow thoughts and treatment strategies of other health practitioners and it doesn’t matter how qualified they are. While getting needed information from everyone the only basis for real time clinical decision is what therapist found during the soft tissues evaluation and how to read these data correctly. Laura greatly illustrated such vision and it allowed her to properly identify initial trigger and solve the complex clinical issue. Michelle, 50, came to me with a Temporomandibular Joint Dysfunction (TMJ) diagnosis established by her family physician and orthodontist. The initial onset of the symptoms of pain in her jaw began in May 2018. She stated that she was under a lot of stress, applying for a new work position and assumed that her symptoms could be stress related. After initial onset, the pain had been so severe that she went to the local emergency room on June 7, 2018. She was given an X-ray, CT scan, MRI, blood tests, EKG, EEG as there was a concern for a brain tumor due to the intensity of the pain she was experiencing. All testing came back normal, she was discharged and told to follow up with family physician. Her family physician diagnosed her with TMJ dysfunction and advised her to purchase an over the counter night guard. She had mentioned to her PCP that after researching her symptoms she found that her symptoms almost exactly matched the Trigeminal Nerve Neuralgia (TNN), but he quickly dismissed her thoughts telling her that it is very rare and unlikely. She was taking over the counter Aleve for pain, but after the night guard it was not helping anymore. The night guard usage caused her symptoms to worsen significantly. With little answers she sought out alternative options and found the Wellness Center where I work. She had been receiving cranial and myofascial treatments from another colleague in the office which gave her temporary relief and helped her manage pain but did not eliminate her symptoms completely. Her visits with my colleague over the summer had dwindled due to scheduling and because she was not experiencing severe pain anymore. On her own, she had made an appointment with an orthodontist who told her that he was unsure if it was TMJ or Trigeminal Nerve Neuralgia and gave her a prescription for PT. On October 4, 2018 she woke up with severe pain and decided she needed to call off work. She called our office to see if she could get in with my colleague who happened to be unavailable that day and so she was booked with me. Upon initial visit she was in severe pain and I decided to conduct evaluation mostly relying on verbal description of her symptoms. Thus, my main focus during first session was to relieve tension and allow her to adjust to my future treatments. In my first session I used myofascial release in the neck and shoulders combined with scalpotherapy. While working on her I explained basic ideas of Medical Massage I learned from SOMI. Michelle also reiterated that based on her research she thinks that she suffers from the Trigeminal Nerve Neuralgia rather than anything else. After the session when the intensity of her symptoms subsided, I did the Eyeball Palpation Test to determine if indeed the TNN was causing her severe pain. I found that the first part of the Eyeball Palpation Test was positive on the right side, as her eyeball stuck out of the orbit significantly more than the left. The second part of Eyeball Palpation Test was positive, as the patient reported acute pain in the right eyeball and behind the eye as soon as I applied mild repetitive vertical compressions on both eyeballs with my index fingers. There was also more resistance to the applied vertical pressure on the right side compared to the left and her right eyeball didn’t sink into the orbit the same way as left did. I explained to the patient what this testing means and that I would strongly suggest coming in for full medical massage clinical evaluation following application of the TNN Protocol. She had already made an initial appointment with physical therapy prior to her first appointment with me. She decided that my questioning, as well as the palpation tests I performed, well surpassed everything the emergency room physician, her family doctor, orthodontist and the physical therapist did. She decided to postpone PT treatment and go ahead with the clinical intake, proceeding with medical massage. During the clinical intake the patient described that she experienced lower jaw pain with extra sensitivity on the right side; ear pain mostly on the right, but sometimes felt on the left, but with lesser intensity. She reported having pain in two teeth IN THE MIDDLE on both sides. She also stated that besides having lower jaw pain, it also hurt to swallow, reporting her pain to be a 5 on a pain scale of 0 to 10. Striking the skin of the forehead with my both index fingernails revealed a sharper sensation in the ophthalmic division of the trigeminal nerve on the right side. However, when I tested the maxillary (below the orbit) and mandibular (along lower jaw) divisions of the trigeminal nerve, the patient reported electric shock-like sensations on the right side. During the evaluation of sensory abnormalities, patient mentioned that she sometimes feels like she has a mask with numbness and tingling on the right side of her face. Further testing revealed slight sensitivity during the compression test on the ophthalmic division of the trigeminal nerve. Compression test on the maxillary division as well as the mandibular division created a more intense, acute pain on the right side. MM Protocol Treatment for TNN began on October 8, 2018. Michelle’s acute pain had subsided since her initial visit with me on the 4th of October; therefore, I felt it appropriate to begin treatment with the protocol designed for the Residual Stage of TNN. Thus, I started with the decompression of the patient’s suboccipital area first. I began working on the posterior neck with effleurage, friction, myofascial release, and trigger point therapy on the posterior neck, shoulders and in the suboccipital area. I then moved to work on the connective tissue. I first applied effleurage along the main orientation of collagen fibers in the connective tissue zones, then gently stretched it. Since superficial fascia on the posterior neck continues into the cranial aponeurosis, I used Scalpotherapy on the head to stretch cranial aponeurosis. All the time, I was very careful not to activate my patient’s pain analyzing system. Next, I applied circular effleurage and gentle manual vibration to the six points associated with the three divisions of the trigeminal nerve, spending about 30 seconds on each of the six points. Circular friction and local stretching were then applied on the three points of the trigeminal nerve on the right side of the face. During that step, I was checking in with my patient both verbally and observing any change in her facial expressions. I ended with the local skin stretching on the right side of the face. I saw her two more times, with a day in between each session, applying the same protocol and she reported she was doing well and in no pain. I recently checked in with her to see how she is doing, and she reported the same, no pain, and that I “definitely fixed her problem”. Laura Righter is a Certified Medical Massage Practitioner (CMMP) recently completing the 96-hour certification program with the Science of Massage Institute. 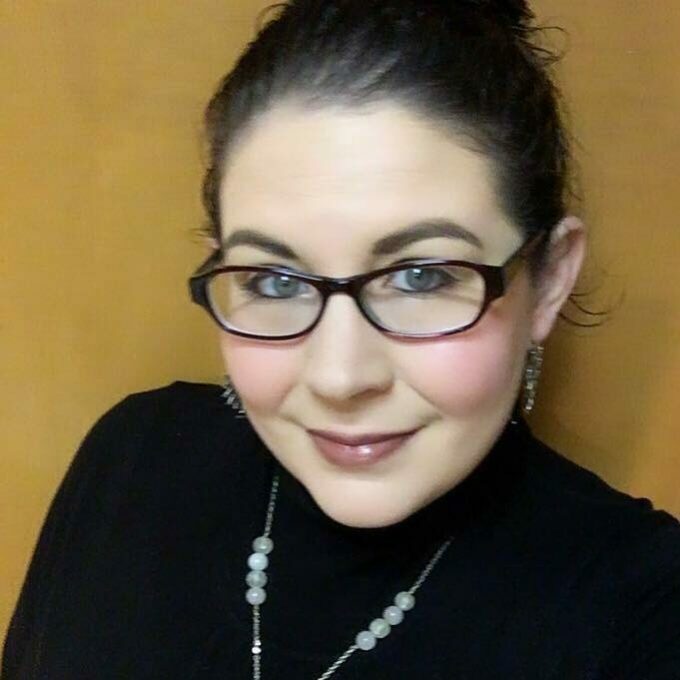 She is licensed by the state of Pennsylvania, is a professional member of the American Massage Therapy Association (AMTA) and specializes in science-based Medical Massage. She attended Cortiva Institute of Massage Therapy in King of Prussia, PA and graduated top of her class. She also received the prestigious Mary Jo Myers Outstanding Student Award, symbolizing her distinction as a Massage Therapist who would make a difference in the field of massage therapy. In January of 2017 Laura started Medical Massage Certification program through the Science of Massage Institute that forever changed her career. Laura successfully treat her clients with various abnormalities using Medical Massage and she enthusiastically welcomes difficult clinical cases where other treatment options have failed.